I still have a couple of dresses from Williamsburg to spotlight, but I'm sneaking a new project in for right now. It all started with a pair of shoes and this pattern. 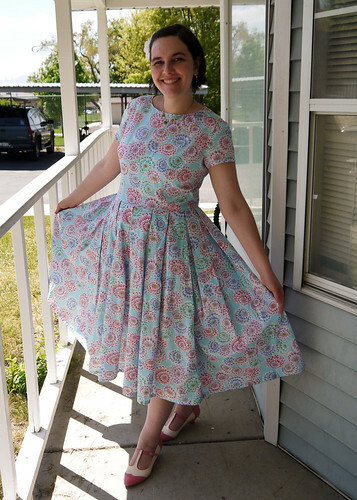 I spend a lot of time (and money) at ModCloth in the pursuit of a cute retro themed wardrobe. One of my biggest weaknesses are shoes, and I completely fell in love with these pink shoes. But alas! None of my current dresses worked with this particular shade of pink. 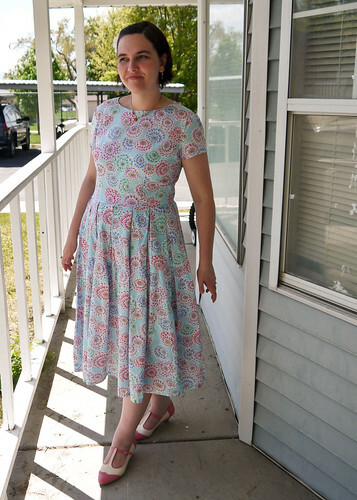 Since I have a ton of fabric and no costume events in the near future to sew for, I decided to spend my summer making some cute basic pieces to round out my wardrobe. I've been drooling over this cute cotton lawn at my local fabric store, but it wasn't until the store announced it was going out of business that I finally bought it. As luck would have it, the pink in the flowers perfectly matched my new pink t-strap shoes! In another piece of luck, this pattern fit me pretty much right out of the envelope! 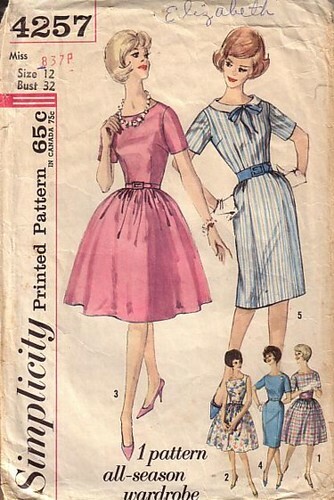 It's from 1962 and is a cute basic pattern that I'm going to use for a couple more dresses. I'm pleased as punch with the final results. 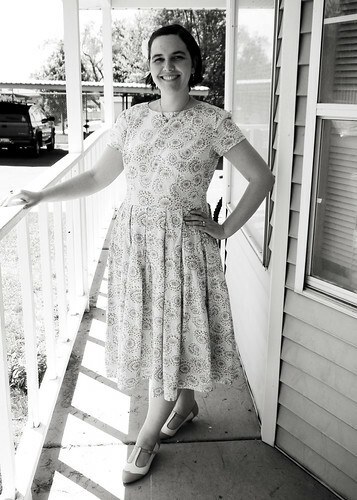 And of course, with a retro style dress, I had to try it with a 50s style photo filter.